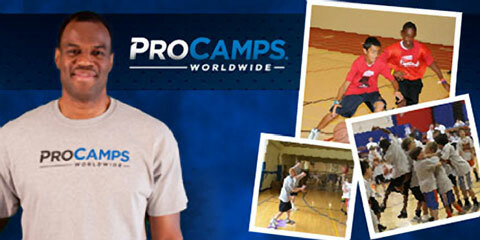 Campers will experience various stations, specializing in fundamental skills of basketball. Campers will participate in games, stations, and skill contests during the H-E-B David Robinson Basketball ProCamp presented by Academy Sports + Outdoors and SunnyD. Each camper will be placed on a team according to his or her age. Robinson will give talks highlighting the finer points of the game of basketball and beyond. Parents and guests will be able to listen to camp guests in designated areas at each location. David Robinson played center for the San Antonio Spurs for his entire NBA career. Based on his prior service as an officer in the United States Navy, Robinson earned the nickname “The Admiral”. He and teammate power forward Tim Duncan were nicknamed “The Twin Towers”. He was inducted into the Naismith Memorial Basketball Hall of Fame along with Michael Jordan, John Stockton, Jerry Sloan, and C. Vivian Stringer on September 11, 2009. He is widely considered to be one of the greatest centers in NBA history. Playing Field Promotions is a booking agent for motivational sports speakers and celebrities. If you would like to book David Robinson for a speaking engagement or appearance, contact David Robinson’s booking agent for appearance & speaker fees at 1.800.966.1380.